For some homeowners, money and precious resources are being wasted by the bowlful. The outdated commodes found in older homes are costing households too much money each month on their utility bills. But there is a solution to this wasteful spending and usage. By making a simple switch in equipment to an eco toilet, homeowners have seen their monthly utility bills drop while also doing their part to help their communities. While this switch is one that many homeowners want to make, knowing where to start or what to look for can be a challenge. 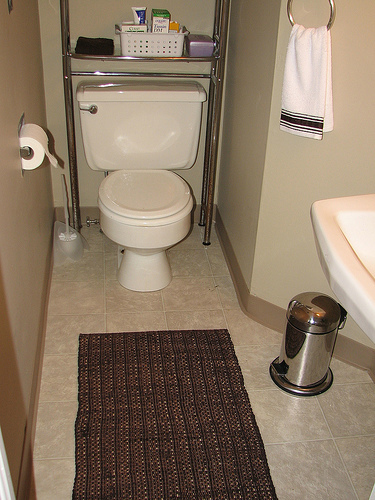 The following are a few of the most important features found in a water-saving toilet. How well does the bowl eliminate waste? – One concern some people have about switching to this new piece of equipment is how well it will do its job of eliminating waste. But manufacturers know that this is a primary concern for most families and have innovated new ways to make each flush more powerful without using as many resources. By doing this, waste is completely eliminated each time the bowl is emptied so there are no lingering germs or bacteria. How loud is it each time it is flushed? – With such power put behind emptying the waste from the bowl, some people are concerned with how loud each flush can be. After all, no household wants to be woken up each time somebody uses the bathroom. But power does not have to come with loud noise. In fact, many updated toilets are quieter than their predecessors and still work to save valuable resources. How does the design affect its performance? – Design plays an important role in the function of these necessary appliances. Not only do you want your new bathroom fixture to enhance the look of the room, but you also want to find a design that is conducive to saving resources with each flush. For example, just by eliminating the flapper, you can save water with each use and still remove waste effectively from the bowl. Has it been designated as a high-efficiency toilet? – There are a number of ways that manufacturers can earn the rating of their appliances as high efficiency. By looking for the “H.E.” logo on the box or product description, you can be confident that the new feature of your bathroom meets all the regulations required to be considered environmentally friendly. This is perhaps the easiest to find and can give you the most confidence in your purchase decision. When you are ready to make an update to your bathroom, look first at the fixture that uses the most water. By making this small switch, you can see improvements on your monthly utility bills immediately.